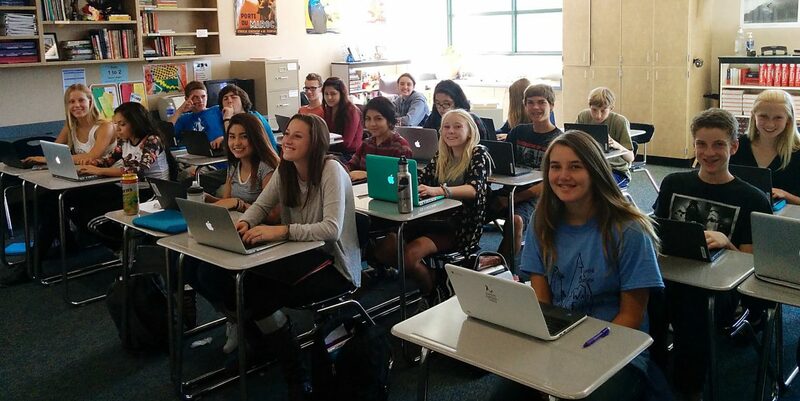 Students in a North Tahoe School classroom use their Chromebooks. 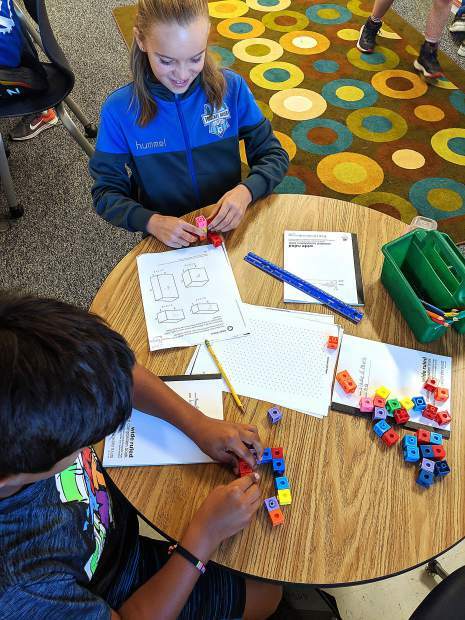 The Tahoe Truckee Unified School District includes 12 schools ranging from K-12 grades across Placer, Nevada and El Dorado counties. Visit goo.gl/y8HIOX to view the district’s 2015-2018 Technology Plan. TRUCKEE, Calif. — Gone are the days of overhead projectors and computer labs in the library. Walk into any major supermarket, and you’ll see kids of all ages playing on smartphones while their parent shops. Schools across the country have worked to embrace the shift toward increased technology use — some more successfully than others. The Tahoe Truckee Unified School District, which kicks off the 2016-17 school year Thursday, is entering its fourth academic year of providing students with Google Chromebook laptops, and this year, the program will include some fourth- and fifth-grade classrooms. “By issuing Chromebooks to students, it kind of levels the playing field and gives all students access to technology,” said Tahoe Truckee Excellence in Education’s Executive Director Laura Abbey Brown. The laptops are part of TTUSD’s one-to-one technology program and are provided through the district, with funding assistance from the Excellence in Education Foundation. Brown said that the foundation has donated $186,000 so far to provide students in the district with Chromebooks. The idea, she said, was to integrate the technology very slowly to ensure its success. Rather than provide all students with Chromebooks at once, the district opted to first give them to eighth-graders. “At the time, Chromebooks were difficult to come by so we didn’t get them until September,” said TTUSD Director of Technology Ed Hilton. He said that once all eighth-grade teachers in the district had committed to using the Chromebooks in their classes for a one-year period, 300 Chromebooks were bought. Since, two additional grade levels have received Chromebooks each school year. As the 2016-17 school year begins, the district has about 3,000 Chromebooks available for student use. The Chromebooks are used with the Google Apps for Education suite, which Hilton said does not collect data in the same way as some of Google’s other products. For the last several years, Chromebooks have been checked out to students in the same way the district checks out textbooks. They’re assigned a Chromebook for the entire academic year, and may take that computer home to work on assignments. The district offers a $27 flat rate insurance policy help cover any damages. Hilton said he isn’t sure yet how the fourth- and fifth-graders will need to use the Chromebooks or if they’ll have a need to take them home regularly, since younger students have different education needs. “We’re not sure yet whether (elementary school) students will take these home,” he said. About half of the district’s fourth- and fifth-grade classes will have Chromebooks this school year, and Hilton said the district hopes to provide them to the other half of those classrooms next year. District Coordinator of Parent and Community Relations Kelli Twomey, who is also president of the Excellence in Education Foundation board as well as a district parent, said she has been impressed with how the district chose to gradually introduce the laptops. “Questions had come up about whether it’s fair if all households don’t have internet,” said Twomey. She said the Chromebooks were chosen in part because they can be used offline. Students can use the laptops to work at home even if they have limited or no internet access, and then sync to their campus’ Wi-Fi when they are at school. The Google Apps for Education suite can be accessed from other devices, allowing a wide range of accessibility options. “It allows all kids, despite what their situation at home is, to do work on their computers,” Twomey said. The district also recently upgraded its network, allowing students and teachers to connect to the internet at higher speeds while on campus.